The fish-farming industry is increasing its use of plant-based ingredients in its feed and moving away from traditional feed made from fish, which could impact some of the health benefits of eating certain types of seafood, suggests a new analysis from the Johns Hopkins Center for a Livable Future (CLF) at the Johns Hopkins Bloomberg School of Public Health and McGill University. A large portion of the seafood consumed in North America is farmed. Fish farming, also known as aquaculture, is the fastest-growing food animal sector, outpacing the beef and poultry industries. While wild fish find their own food – which includes smaller fish for carnivorous species – intensively farmed fish are fed a manufactured aquaculture feed. Until recently, this manufactured feed was typically composed of high levels of fishmeal and fish oil derived from wild fish — but it has become unsustainable to catch more wild fish to feed growing numbers of farmed fish, so the industry has shifted the makeup of the feed. For example, twice as much soybean meal was used in commercial aquaculture feed in 2008 as compared to fishmeal, and the use of crop-based ingredients is projected to increase 124 percent between 2008 and 2020. The new study details the industry shift to crop-based feed ingredients, such as soy, corn, and wheat, to replace wild fish as a key ingredient in manufactured feed. The researchers—in collaboration with colleagues from the University of Minnesota’s Institute on the Environment—reviewed aquaculture and public health literature, and conducted a new analysis to estimate the environmental footprint for the top five crops used in commercial aquaculture feed. The shift has been hailed by some as a positive change in light of the increasingly depleted oceans and the rapidly expanding aquaculture industry. But the shift may have some unintended consequences as well. Using vegetable oils instead of fish oil also changes the fatty acid content of fish and nutritional value for human consumption, the researchers say. Considering Americans are encouraged to consume seafood high in omega-3 fatty acids, which promote improved cardiovascular health and neurodevelopment, this has large implications for dietary recommendations and the aquaculture industry. More research is needed, they say, to better understand the impact of this shift in feed on the health benefits of consuming farmed fish. While fish-based ingredients are seen as acutely limited, so are the resources such as land, water and fertilizer used to produce feed crops. 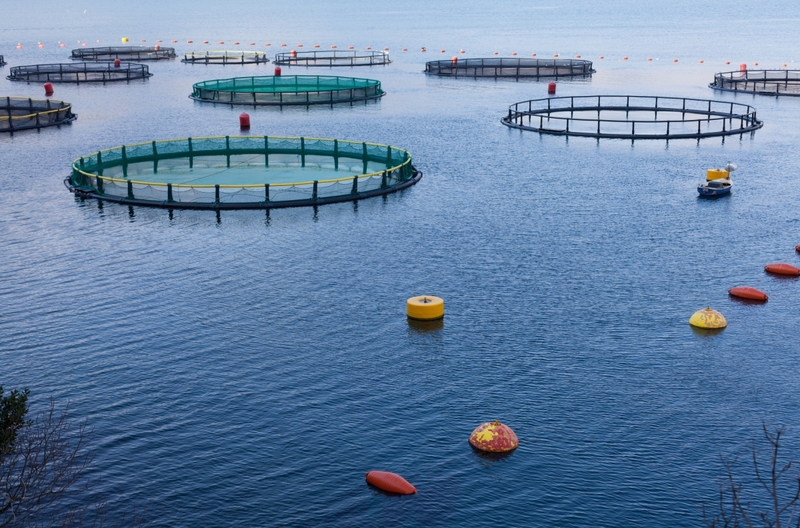 Aquaculture’s environmental footprint likely now includes increased nutrient and pesticide runoff from the industrial crop production needed to supply fish food. This runoff is a key driver of water pollution globally, and can negatively impact public health. Depending on where and how feed crops are produced, plant-based fish feed could be indirectly linked to negative health outcomes for agricultural workers and nearby communities due to exposure to air, water or soil contaminated by nutrients and/or pesticides. “Currently, only a small fraction of terrestrial agriculture is used to feed farmed fish. However, the aquaculture industry is growing rapidly. A clearer picture is needed of where and how these crop-based feed ingredients are produced so we can assess the implications of this growing industry for agriculture and the environment,” says Graham MacDonald, Assistant Professor in the Department of Geography at McGill University. Fry says that these new findings may raise more questions than they answer.